Mennonite Healthcare Fellowship (MHF) encourages persons studying for healthcare professions to learn and serve in cross-cultural mission/service settings in developing countries. To further this goal, MHF provides educational grants toward travel and living expenses for a Student Elective Term (SET). MHF is pleased to award Student Elective Term grants to the following students for the 2018-19 academic year. 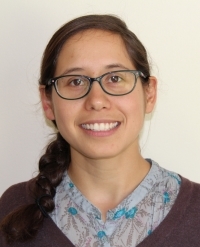 Rebekah Maldonado-Nofziger, BSN, RN is a student at University of Washington working toward a Doctor of Nursing Practice in Population Health/Community Health. She is a 2012 nursing graduate of Eastern Mennonite University. Following work in Seattle, Washington, she has been doing a clinical practicum in Gondar, Ethiopia as a fellow in the SCOPE program. Her project has involved building partnerships with priests and the Health Development Army as health educators to meet new pregnant women in their homes and talk about the importance of antenatal care and having their delivery at the health center with a skilled attendant. This will assist in ultimately reducing the maternal and neonatal mortality rates in Ethiopia. Receiving a SET grant assists Rebekah in remaining in Ethiopia to complete her doctoral practicum requirements and capstone project. Upon graduation, she intends to pursue a career in international public health. Read Rebekah’s blog from Ethiopia. Leah Amstutz is a first-year medical student at Indiana University School of Medicine with concurrent studies at IU’s Fairbanks School of Public Health. Originally from Goshen, Indiana, she graduated from Goshen College in 2016. This summer, Leah will participate in Spanish studies and clinical experiences in Suchitoto, El Salvador as a part of IU’s ENLACE program. At the same time, she will work as a public health intern with Companion Community Development Alternatives. This work will involve documenting and evaluating a water chlorination project in several rural communities. Emily Harnish is a student at James Madison University working toward a Physician Assistant degree. She is a 2013 biochemistry graduate of Eastern Mennonite University. 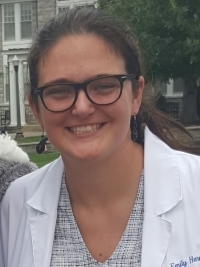 Following several clinical rotations in the Shenandoah Valley she will be doing a clinical rotation at Shirati KMT Hospital in Shirati, Tanzania. She will be working with the physicians and nursing staff of a rural hospital to deliver maternal care, treat infectious disease and screen for gynecologic cancer. Receiving a SET grant assists Emily in traveling to Tanzania for this experience. Upon graduation, she intends to pursue a career in family or internal medicine.